In my previous post, I looked at our perennial nemesis, South Korea. 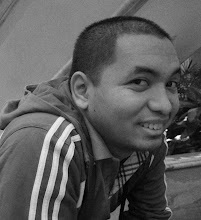 For this post, I will look at a team that has been a perpetual thorn in our necks, Taiwan. - Like most Asian teams, Taiwan’s last major tournament was the 2014 Asian Games in Incheon, South Korea. The Taiwanese faltered in this competition, though, losing its two games in the preliminary round and, consequently, getting the boot. 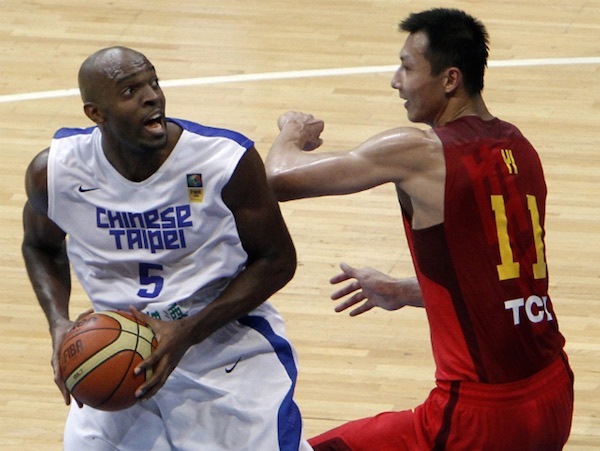 They lost to upstart Kazakhstan, 68-74, and then bowed to China, 58-59, in a tightly contested affair. The caveat here is that Taiwan played without naturalized center Quincy Davis, who was ruled ineligible for the Asiad. As can be expected, without their best big man, the Taiwanese struggled to contain the frontliners of Kazakhstan and China. It was a sorry result for a team that had been on fire since 2013. 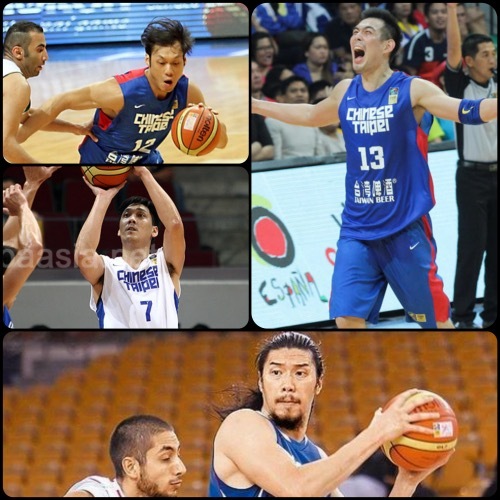 Taiwan finished in the top 4 of the 2013 FIBA Asia Championship in Manila and then secured second place in the 2014 FIBA Asia Cup in Wuhan, beating China in both tournaments. Quincy Davis wasn't able to play in the Asian Games, but he is back in tow now. - Taiwan’s only pro hoops circuit, the Super Basketball League, ended its season on April 7, with defending champion Pure Youth Construction winning again after beating Taiwan Beer in a pivotal Game 7 (Pure Youth had to rally from being down, 1-3, in the series to win it all). Returning national team coach Chou Jun-San replaced incumbent head coach Hsu Chin-Tse, who begged off due to health reasons, in May and didn’t waste much time before calling up his wards for training. Taiwan recently had a three-game trip to Korea, where they played Korea’s national pool twice (beat them once, 79-76, and lost to them in the next game by more than 20 points) before losing to KBL club team Anyang KGC, 79-83. Anyang, however, played with two imports in that encounter. Taiwan will also participate/host the 2015 William Jones Cup, where they will send two teams - Taipei Blue (their A team) and Taipei White (their B team). They will also fly to Manila about a week before the 2015 FIBA Asia Championship to play in the 2015 MVP Cup, which will serve as their final tune-up series. Tien Lei and the rest of Taiwan will be hosting the 2015 Jones Cup. - After years of being a fringe-level title contender, Taiwan has emerged as a very strong force in Asia. There are two big reasons for this — the addition of naturalized player Quincy Davis and the fact that their core players ply their trade in the Chinese Basketball Association, where the level of competition is significantly higher than it is at home. Taiwan is a pretty stacked team, with quality talents at every position. In the frontline, for example, Quincy Davis is the undisputed tower of power, while Tseng Wen-Ting and Wu Tai-Hao are set to assist him. Davis is an efficient inside scorer, while Tseng is more of a point-center if ever there was such a term. Out on the wings, two kinds of players dominate the play for Taiwan — shooters like Tien Lei and Lu Cheng-Ju, and attackers like Liu Cheng, Jet Chang, and Tsai Wen-Cheng. 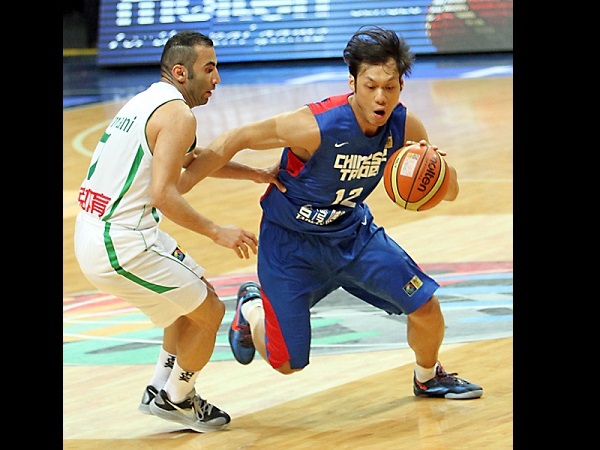 Outside shooting, naturally, is Taiwan’s primary strength. That’s how they beat China in 2013 and 2014. The point guard spot, however, is probably the weakest for Taiwan as top-flight PG Lee Hsueh-Lin chose to stay in China to prep for his team’s title defense. Lin Chih-Chieh will probably have to call the shots here, while young up-and-coming playmaker Jiang Yu-Ann looks fit and ready. Tseng Wen-Ting will play a major role again as Taiwan tries to duplicate its success from 2013. - Taiwan is set to parade a solid team in Changsha, but they will have their work cut out for them as they’re placed in the toughest group in the entire tournament. With a comebacking Lebanese squad, the always dangerous Qataris, and the vastly-improved Kazakhs, the Taiwanese are sure to be tested as early as day one. Despite the inherent challenges of being in the Group of Death, though, coach Chou Jun-San’s team still has a fair chance of advancing to the next round and perhaps making the Final 8 of the tournament. Whether they will be repeating their semifinal finish from 2013, though, is up in the air. Frankly speaking, THAT will be a tough act to follow. This may be Lin Chih-Chieh's final tournament for Taiwan. AFAIK Zhou Boxun was transferred to Team B before their NT Press Con. Don't know the reason why. Yes Sir, saw few pics from yesterday's TPE NT Press Con., the guy from Taiwan Beer (Zhou Boxun) is wearing White Shirt. Even the guys from Team A is making fun of him. Wow big demotion for him if that's the case!